Welcome to la Villa des Oliviers ! Between sea and mountains, between the land of olive trees and the Mediterranean, and just a stone’s throw from Saint Paul de Vence for art lovers. From Saint Tropez to Monaco, through Nice and Cannes, the hotel has a perfect location and easy access to all means of transport to visit the French Riviera. Our small, picturesque 2-star hotel offers all the conveniences required to spend a wonderful time in the sun of the French Riviera. The beach is only 50 m away from the hotel. Bike lovers and runners will enjoy the 14 km seafront cycle lanes and running tracks between Cagnes and Nice. 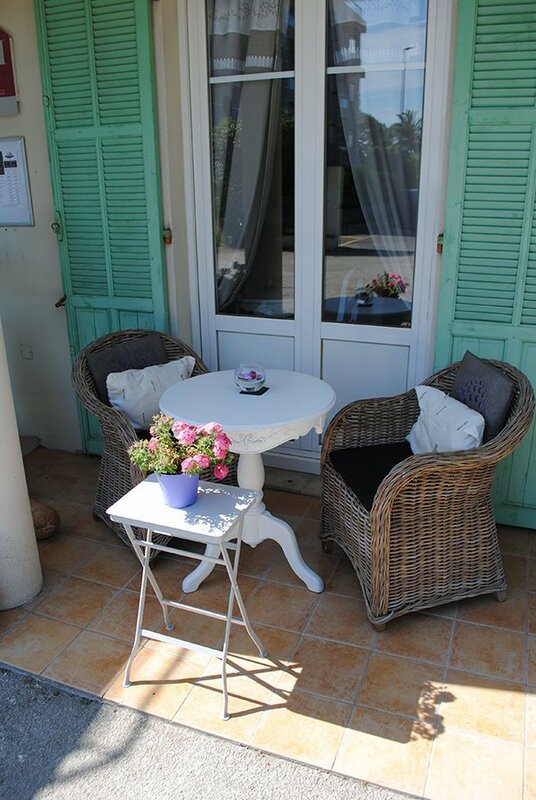 Half of our delightful old world charm rooms have a private terrace, some of which have a sea view. Wi-Fi is free in all rooms and inside the entire hotel. The hotel has a free car park for seven cars; no prior reservation. A continental breakfast buffet is served every day between 7:30 am and 10:00 am for 9€ and includes 1 croissant per person, bread, toast or plain bread to the full, 4 flavors of jams, honey, Nutella and butter.jams & marmalades, cereals, yoghurts, fresh and dried fruit. Quite a good starter ! Fabrice, the new owner, Colette (the Mum) and Fatima the maid are your hosts. Feel free to contact us by phone or e-mail for any enquiry or booking request. We will gladly help you in organizing your trip.